FERMA has urged the OECD to rely on existing, widely accepted international regulations governing captive insurance companies when it publishes new guidelines on transfer pricing and value creation. FERMA has welcomed the view of European insurers that sustainability goes beyond green issues. Insurance Europe submitted a paper on behalf of the insurance industry on 27 August to the proposition from the European Commission for a taxonomy or classification framework of sustainable investments. Deal or no deal – what does Brexit mean for insurance? Britain’s exit date from the EU, 29 March 2019, is just six months away and key details concerning insurance regulation, in particular in the absence of clarity as to what a future trade deal between the UK and the EU27 will look like, remain undecided. Last chance to register for Ferma Seminar 2018! 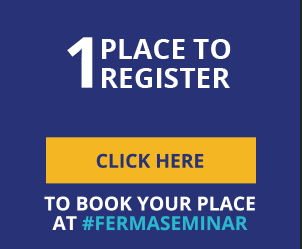 Friday 28 September is the last chance to register for Ferma Seminar ! Reports, videos and courses on risk management topics from members associations and external sources available for FERMA members. The countdown is on. 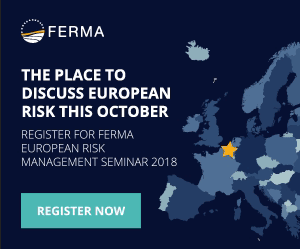 Will you be joining the 250 risk managers in Antwerp for 2018's #fermaseminar? Register now! 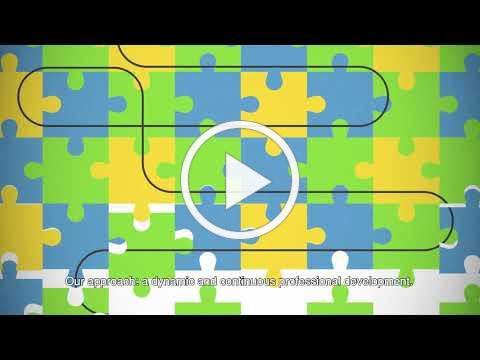 FERMA launches first European lifelong-learning programme in risk management. Already 100 days of learning scheduled across Europe this year.